The high quantum efficiency of the charge-coupled device (CCD) has rendered it the imaging technology of choice in diverse applications. However, under extremely low light conditions where few photons are detected from the imaged object, the CCD becomes unsuitable as its readout noise can easily overwhelm the weak signal. An intended solution to this problem is the electron-multiplying charge-coupled device (EMCCD), which stochastically amplifies the acquired signal to drown out the readout noise. Here, we develop the theory for calculating the Fisher information content of the amplified signal, which is modeled as the output of a branching process. Specifically, Fisher information expressions are obtained for a general and a geometric model of amplification, as well as for two approximations of the amplified signal. All expressions pertain to the important scenario of a Poisson-distributed initial signal, which is characteristic of physical processes such as photon detection. 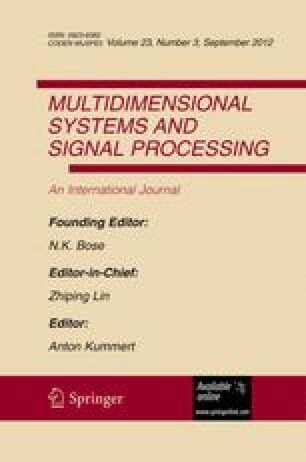 To facilitate the investigation of different data models, a “noise coefficient” is introduced which allows the analysis and comparison of Fisher information via a scalar quantity. We apply our results to the problem of estimating the location of a point source from its image, as observed through an optical microscope and detected by an EMCCD.